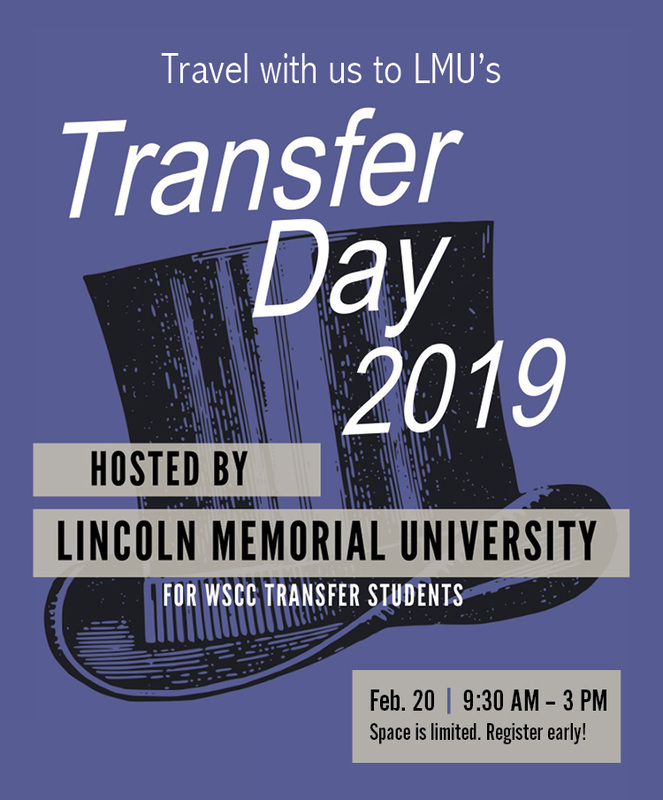 Travel with us to LMU's Transfer Day Feb. 20, 2019! LMU is hosting a Transfer Day on LMU’s campus in Harrogate, TN for Walters State Community College students interested in obtaining information about transferring to LMU. There is no cost to student’s attending this field trip. LMU admissions representatives, financial aid representatives, and academic advisors will be on hand to meet with students to assist in making a smooth transition from Walters State to LMU. Students will also tour the campus of LMU. This field trip is FREE of charge. Lunch is provided to students by LMU. Transportation will be on the Walters State Mini-Bus and provided by the Students Success Center. *Students wishing to board the WS bus from Claiborne County campus must designate Claiborne County campus as their boarding location when registering for the trip. Reservations are on a first come, first completed basis and each student must make their own reservation. Reservations are required and space is limited to 30. A Signed and Notarized Liability Release Form must be Delivered to Frank Umbarger in the Student Success Center (CCEN 222) before the reservation will be confirmed.